Make a special time with your family and love ones at Bolinao, Pangasinan. It’s pristine white beach makes the stay worthwhile plus some adventurous activities of Hundred Islands that you will surely enjoy. With this package, we make sure that you will relax, enjoy and unwind. Experience the fun and excitement in our Pangasinan escapade! Visit Bolinao Falls, Bolinao Church, Bolinao Light House, Patar White Sand Beach, Bolinao Enchanted Cave, Rock View Beach, and experience your Hundred Islands adventure with a whole lot more of activity surprises. Book now! 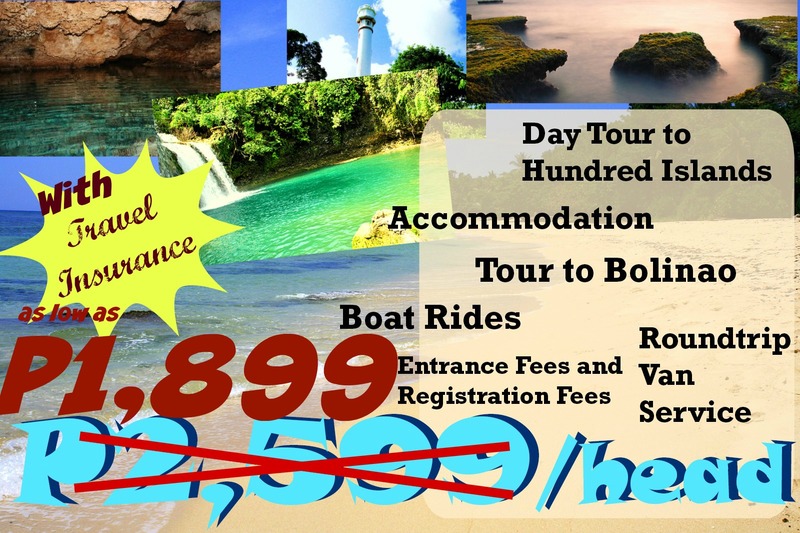 Avail our Bolinao Tour Package offers now! See also other Package for Groups without van transfer. *Package (for with Van Service from Manila) will start upon pick up of van at the meeting place in Trinoma/Cubao. *While packages WITHOUT Van Service from Manila’s package will start at Bolinao, Pangasinan. 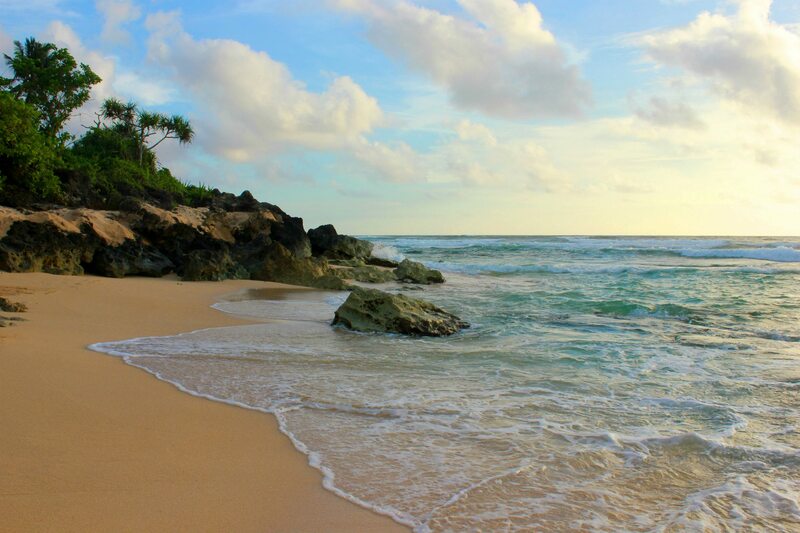 BOLINAO TOUR PACKAGE INCLUDES: Have a fantastic experience while we are in charge of the inclusions of this package. Travel Insurance upon arrival in Lucap to end of Tour. Van Service for pick up from Manila to Pangasinan to Manila, exclusively for your group’s use. Van Service for Pangasinan trips within Pangasinan, exclusively for your group’s use. Bring your personal hygiene and medicine, your clothing, extra batteries for your flashlight and gadgets and your favorite foods to add to your vacation experience. Enjoy a 5% discount if you book 30 days before your vacation day for your Tour. (this will NOT be applicable if reservation/travel is made during and for the months of March, April and May and holidays due to very limited slots available) Reservation during this peak season is “first come-first serve” basis. We have sent an email to your email address y_h_t_a_c@yahoo.com to further answer your inquiries. Hi please send me a quotation for tour to hundred islands and bolinao (for 2D/1N). If possible marcos island to be included. For about 15 adults + kids…Tentative date: April 16-17. Thank you. Is it possible to join with other groups for the said date? Sorry we don’t have joiners package for the said date but we can still give you affordable packages suited for 4 pax. Kindly email yesenjoykadito@yahoo.com for more details. Maginquire po for Bolinao tour package Dec 9 – 10. Without accommodation and van transfer. good for 9 pax. Can i ask if meron kayo for solo or joiner tour package for bolinao 2d1n..march 31 to april 1? How much? How much is package tour to Bolinao and hundred islands for 4pax.